Last year I decided that instead of making resolutions that would never come to fruition, I was going to try to make attainable goals, while still trying to challenge myself. I realized that I needed to find a happy medium between striving to be better and being realistic. The result was a lengthy blog post and a few goals for the new year. A year later, it’s time to reevaluate these goals, determine how realistic I really was, and decide new goals for 2013. I’ve been keeping track of all the books I read this year and I am disappointed to say that I did not reach 30. However, I did reach 17 and I guess that’s not too bad. It was fun always keeping this goal in mind; though I enjoy reading and usually read more than many (I think), I think that having this goal in the back of my mind pushed me to read a little more than I normally would. I submitted one thing for publishing. While it’s not three, it’s more than zero. I definitely need to work on this for next year. Check. Done and done. I accomplished one of the biggest goals I set for myself. Not too shabby. The main purpose of this goal was to make sure that I was continuously writing. Last year was the first year in 13 that I was not in school and that I didn’t have someone telling me to write something. I needed to make sure that I could maintain some sort of writing schedule (be it an erratic schedule) on my own and that I wouldn’t get lazy just because the teachers were gone. Final result: 107 posts. No, it’s not 200, but I don’t think it’s a horrible number either. It shows me that I don’t need teachers to make me write and that I am capable of pushing myself. However, I want to push myself even more next year. Check. I have done nothing but challenge myself this past year. I worked at a job where I was solely responsible for the whole department. I traveled on a low-budget, pushed myself to get a teaching license in a new state, moved to a foreign country, started learning a new language, started a new job, and retook the GRE and have been working on PhD applications. Not to mention I lived through an apocalypse. I think that counts. I feel that I am still working on this one. While I took advantage of plenty this past year, I don’t think I took advantage of as much as I could. Now that I am in Istanbul, I realize that I missed out on some things in the States. I need to actively work towards going out and experiencing what’s around me. So now it’s time to decide what to focus on for 2013. While the below goals may not be everything I want to do for 2013, they are at least some things I can try to hold myself to. Reading goal, take two. I’m hoping that by dropping it by five, I will be more likely to reach it. I will again keep track of them on my “books read” page, but I won’t hold myself to writing reviews of them. Yes, I’m going to try this again. I’m not going to adjust the number, though, because this is when I have to tell myself that I am completely capable of this, but I must manage my time better and not be so lackadaisical about things I want to achieve. I have to say that I am impressed with myself and how much I actually posted this past year. Though I didn’t reach my goal, I did make a greater effort to post more regularly and my numbers were much greater than last year. True, the posts are not masterpieces or my best writing in any way, but they keep me writing and researching. So this year only leaves room for more improvement. Since I’m living in a country where I don’t speak the language very well, I don’t think this should be too hard. I just have to make sure that I don’t let my friends help me with things when I can easily do them for myself (such as order my food or ask for change). And I also plan to travel as much as possible this year and continue to go places I have never been before. This goal is something I do anyway, but I want to hold myself to it. I’m always listening to podcasts, reading the paper or essays, and am currently trying to learn Turkish (though this one is more of a necessity). Perhaps in this new year I can take some additional classes or try to learn some new skill. But as a teacher, I think it’s vital to always continue learning. Ok, I have already started on my goal of 30 books for this year. But before I start with book number one, I want to talk briefly about the last book I read for 2011. 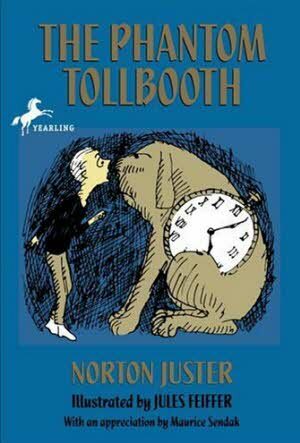 Before the last year ended, a friend told me about one of his favorite childhood books, The Phantom Tollbooth. And when I said that I’d not only never read it, but never heard of it, he went out and bought me a copy. When I walked around with my new copy, people would often tell me how they loved that book growing up. Apparently I’d missed out on a well-known classic. Go figure. Milo comes home one day to find a tollbooth (some assembly required), a couple coins, and a map waiting for him in his room. Despite the many other toys and gadgets in his room, he has nothing better to do and decides to build the tollbooth and take his little toy car to a random destination on the map: Dictionopolis. As might be expected, once Milo passes through that tollbooth, he is in for quite an adventure. Along the way he is joined by friends, such as Tock, the literal watchdog (see picture), and the Humbug, a well dressed and well meaning, but rather cowardly and bumbling bug. He visits lands such as Dictionopolis, the Duldrums, Digitopolis, the Isle of Conclusions, the Mountains of Ignorance, the Valley of Sound and many more. He is assigned the quest of rescuing the princesses Rhyme and Reason, who are the only ones who can bring peace back to a troubled land. 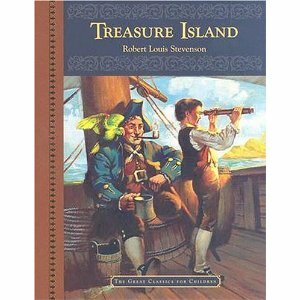 Now on to my first book of the year: Treasure Island by Robert Louis Stevenson. This is yet another classic that I had not read before. Such are the troubles of an English major–they make the books faster than we can read all of them. Fortunately, one of my students specifically requested that we read this book, so the opportunity presented itself. If it counts for anything, I have seen Muppet Treasure Island (who doesn’t love Tim Curry in that? ), so I knew the basic plot going in. I also saw Treasure Planet, which I inconveniently keep calling the book every time I mention it. The basic Sparknotes version is that the protagonist, Jim, and his family are visited by a stranger at their inn. They soon find out that their unruly tenant is a wanted pirate! And he is not just wanted by the law, but other pirates as well (especially the one-legged pirate–he’s the worst of them all) because he possesses something extremely valuable: a treasure map to the booty of old Cap’n Flint. Pirates show up to get him one day and their tenant dies of a stroke–blast that rum! Before the pirates can get them, Jim opens the stranger’s chest and steals the treasure map. The pirates are run out of town by the village doctor and Jim shares his secret with the doctor and his friend, the squire. And so the adventure begins! They acquire a ship and a crew and set sail. Their ship cook, Long John Silver, is a one-legged inn owner. Jim is suspicious of him, and eventually finds that his suspicions are right as mutiny takes place once they reach the island. Turns out half the crew were pirates! It is now a battle to the death and winner takes all. I’ve always had mixed feelings about New Year’s resolutions. Until March they seem like such a good idea, and then they are forgotten again until December. In leadership training, they teach you about SMART (Specific, Measurable, Attainable, Realistic, Timely) goals and I try to keep that in mind when making plans for a new year or new beginning. The problem is that when I sit down to make new year’s resolutions, I am determined to keep them as they are throughout the entire year, but they usually end up adjusted to lack of time or dedication. So two years ago, I made two absolute resolutions: 1. I would no longer call them resolutions, but goals or life changes and 2. I would make ones that were well thought out so that I could ABSOLUTELY stick to them. Two years later, I have stuck to 95% of the goals I’ve made and though I’m still aiming for that 100%, it’s better than I was doing before. And now the time has come, my friends, to talk of new beginnings. Though I have kept some for myself, I thought I could share some goals for 2012. I would wish all of you luck in your goals and changes for the future, but I’ve realized it takes a lot more than that. So instead, I wish you constant determination and may you not lose sight of what you really want, or in most cases, what you really need. When I was younger, I was that kid with a book behind my textbook at school. I was grounded from reading because my chores wouldn’t get done and my books were confiscated before my video games or tv privileges, because those simply didn’t mean as much. 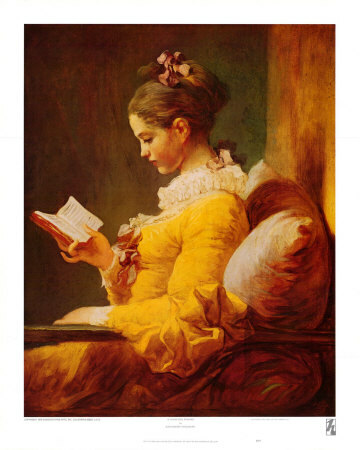 When I was in school, obviously I read plenty for class, but between class and work and researching, I was lucky to read ten books for pleasure. Younger Tessa would be disappointed. I’ve always been the girl with an extra book in her bag, but this year those books will be rotated more, no matter what’s going on in my life. No excuses, play like a champion. As with the reading goal, I’ve allowed myself to let excuses of little time or other priorities to take over and my reading and writing have fallen to the back burner. No more, I say. Now that I’m not in class, it’s time learn how to motivate myself. And after the fail of NaNoWriMo, I really need to step up my game. This is simply for an adventure. I’ve only submitted a few things—partially because of fear of rejection and partially because I wasn’t really sure how to. It’s time to get over that. I’ve been trying to move abroad for three years now and each time has fallen through because of something, but I feel good about this year. I’ve ordered the Turkish Rosetta Stone, done my research of schools and jobs, made my connections, and am determined to go somewhere. Maybe one day I’ll get to Germany or back to London, but for now I want to step outside of my box. By September, I plan to be updating y’all on my Turkish adventures! The first time I tried blogging, it did not go so well. Perhaps that’s the wrong pronoun. I did not do so well. However, that has changed. I’ve finally gotten into the swing of things and since October have hit about 50 posts. Goal attained? Check. Now it’s time to set the bar higher. I have 365 days to get in 200 blog posts. Done and done. Part of this process is realizing what things I need to change and I have noticed recently that while I set the bar high for many aspects of my life, I will allow myself to stop once I reach that bar instead of going beyond it. Whether it is learning a certain skill, exercising, doing tasks at work, traveling, or what have you, I want to go beyond not only the expectations of others, but what I expect of myself. I want to feel challenged and I shouldn’t have to wait for someone else to challenge me. This is a constant with me. There are so many things in this world that it is impossible to go and try all of them in one lifetime. However, it is possible to try something new every day (or at least every week). It can be something little, like trying new foods, or something big, like climbing a 14’er. Whatever it is, I need to not only improve on what I’ve already done, but continue to try things I haven’t done. I just moved to Colorado in August and since I plan on moving to Turkey this coming August or September, I need to have as many Coloradan adventures while I can. While I’m here, I might as well try snowboarding, hiking in the Rockies, going to a Baseball game, trying the local breweries, etc. I’m close to CA and have never been, so why not take a road trip? Growing up an Army brat, I learned that you have to make the best of wherever you are, because it always has something to offer. No matter the troubles or struggles you might encounter in the new year (for there will always be some), my hope is that you make the most of every situation in order to not only overcome, but enjoy what life has to offer.